Martha Berry sends Leola Matthews the amount she owes to cover her annual taxes. 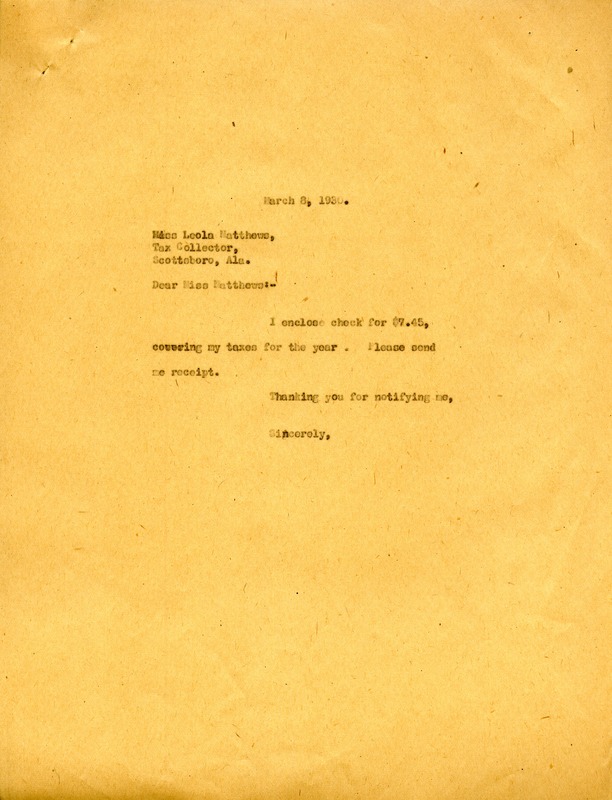 Martha Berry, “Letter from Martha Berry to Leola Matthews.” Martha Berry Digital Archive. Eds. Schlitz, Stephanie A., Christy Snider, Angela McCavera, et al. Mount Berry: Berry College, 2013. accessed April 20, 2019, https://mbda.berry.edu/items/show/13372.